Over the past few years, the activity of trail running for me has grown from an offshoot fitness regimen to a bonafide passion. With it, I have burned through and tested dozens of shoes, from Nikes to esoteric brands like Icebug and Inov-8. 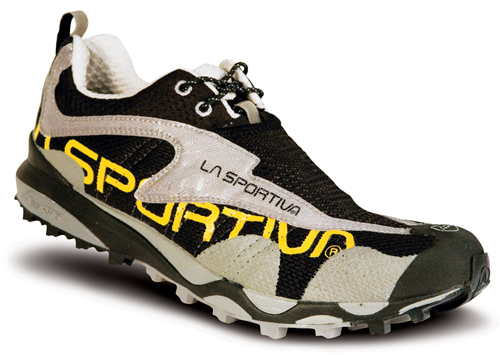 A solid shoe, and one that stands out from the many I’ve worn, is La Sportiva’s Crosslite, a shoe made for gnarly terrain and mountain trails. 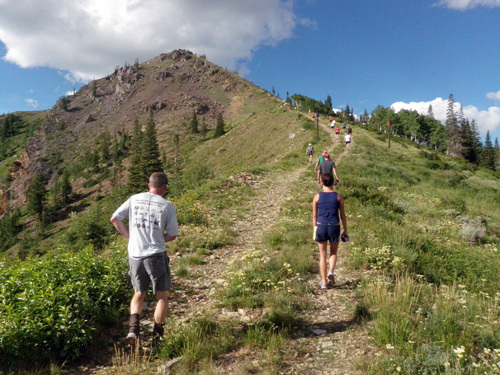 I laced up my Crosslites for their maiden run last summer at the Jupiter Peak Steeplechase, a 15-mile trail race with more than 3,000 feet of elevation gain in Park City, Utah. It begins at about 7,000 feet and tops at its namesake summit at 10,000 feet on the bald tip of Jupiter Peak. Ouch. The Crosslites were perfect shoes for the day. The light upper and spaced sticky rubber lugs on the sole make for a fast and grippy shoe. They are light, at about 11 ounces per foot, considering the protection and the traction underfoot. The shoes have a solid toe bumper, though it is in no way bulky or overbuilt. A unique “scree gaiter” of stretchy fabric covers the laces, keeping debris out. More than anything, to me the Crosslites just fit right. And they feel fast with a low-profile design that lets me run with a clean gait (no heel striking). Exhausted and pushing to the max, I finished the Steeplechase event in 2 hours and 42 minutes, a respectable time. The shoes had helped in the effort. The Crosslites cost $95, and they are durable. They are a couple ounces heavier than the minimal footwear I usually employ. But for serious terrain, the extra protection, and the added grip, have made the Crosslites more and more my shoe of choice.